These entry-level motorcycles are stunning works of art built around a proven and fun engine. The Husqvarna 401 Svartpilen and Vitpilen are the most beautiful small modern motorcycles I've ever laid eyes on. I'm not going to beat around the bush, I've been waiting for this day since the prototypes were unveiled at the EICMA motorcycle show in 2014. There is nothing else quite like them on the market. What began as a three-year obsession since their announcement culminated this week with my first ride of both the 401 Vitpilen and Svartpilen. The Svartpilen (Black Arrow) is more upright and comfortable and emulates scrambler-style bikes. It even completes the look with knobby Pirelli Scorpion Rally STR rubber. 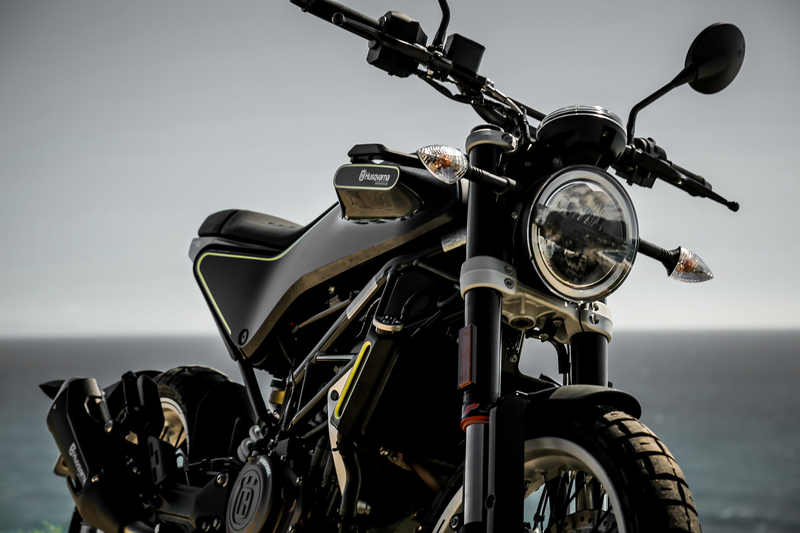 The Husqvarna 401 Svartpilen is as close as you'll get to an entry level scrambler style motorcycle. The Vitpilen (White Arrow) is more aggressive in riding position and emulates cafe racers. Think retro hipster sport bike. By this accord, the Vitpilen sports a pair of Metzler M5s. 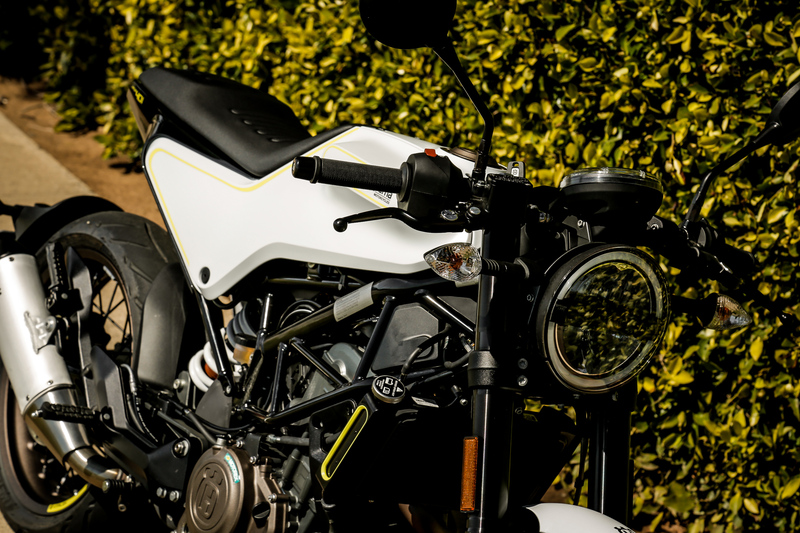 The Husqvarna 401 Vitpilen is ready for racing through the mean streets of Los Angeles. Both bikes are essentially the same from a performance perspective. Each carry the 43-horsepower, 375cc single made popular in the KTM 390 Duke. The Vitpilen comes in four pounds lighter than the Svartpilen, but the difference is negligible. Both exude the same design cues from the flat bench seat to the single-form plastic that encompasses the side panels and fuel tank, recessed LED headlamp with halo, and squared-off swooping taillight. Husqvarna managed to take the classic aesthetics of a motorcycle from the 1960s and marry it to the light cycle from TRON. 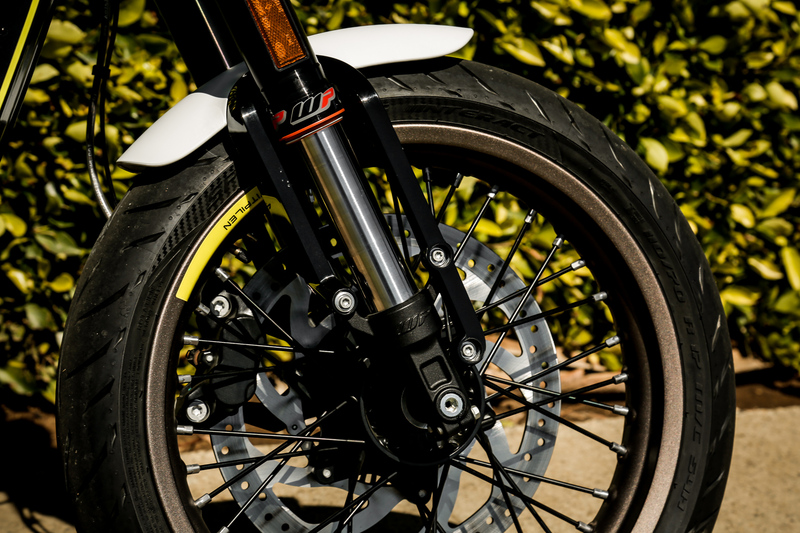 Both feature a WP 43-millimeter inverted front fork with 142 millimeters of travel and monoshock in the rear with 150 millimeters of travel. 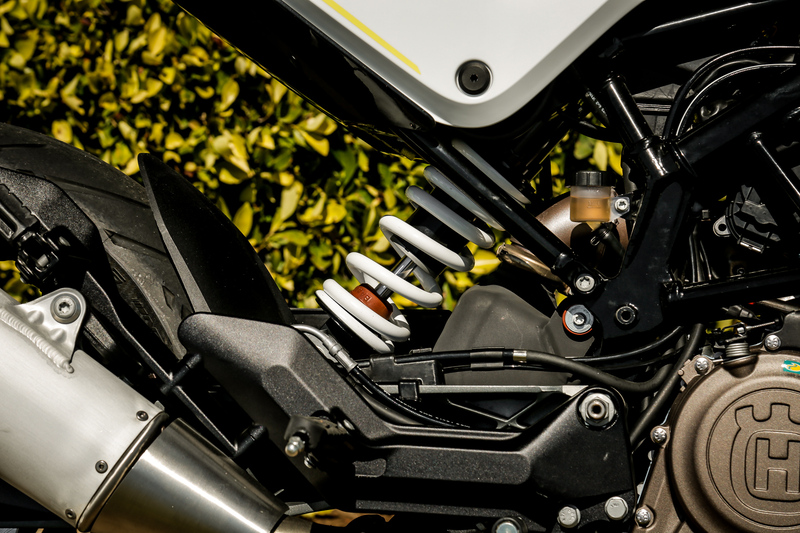 The suspension for each model is set up for a softer ride. Neither are geared toward performance riding, but I suspect that could change when owners get their hands on them and simply fall in love. 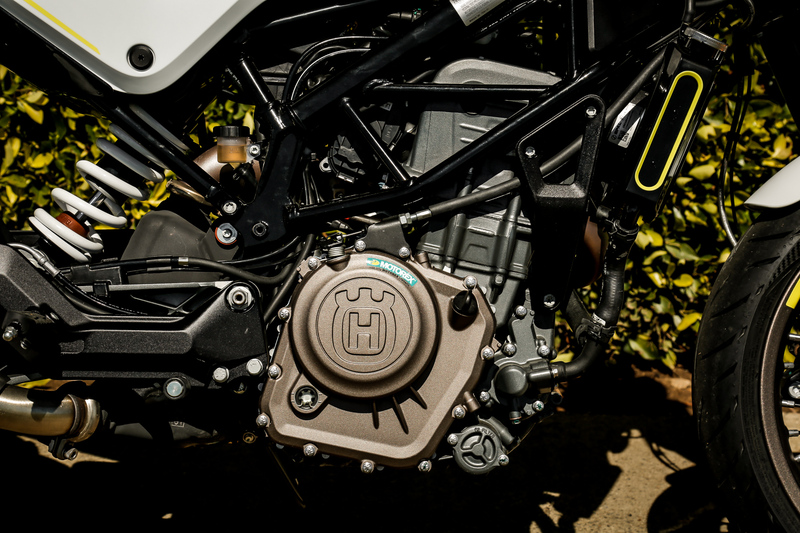 Husqvarna wanted to shy on the side of a softer suspension for the sake of each being a commuter and city focused bike. Regardless of the suspension, it didn't take me long to lean into the twisties on the Vitpilen. Its riding position kinda urged me into riding it more aggressively and it still made me smile. The old adage still stands, it's really, really fun to ride a slow bike fast. Handling aside, don't let either bike fool you. Each will get up to speed quickly and do the ton (that's motorcycle speak for 100-plus miles an hour). 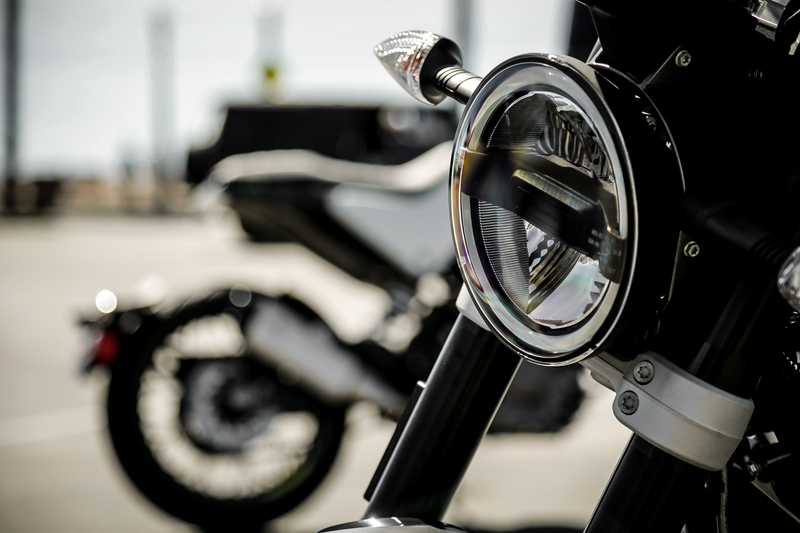 My friend, photographer, and freelance automotive editor Manuel Carrillo III enjoyed the Vitpilen's cafe racer style and had this to say about the bike. 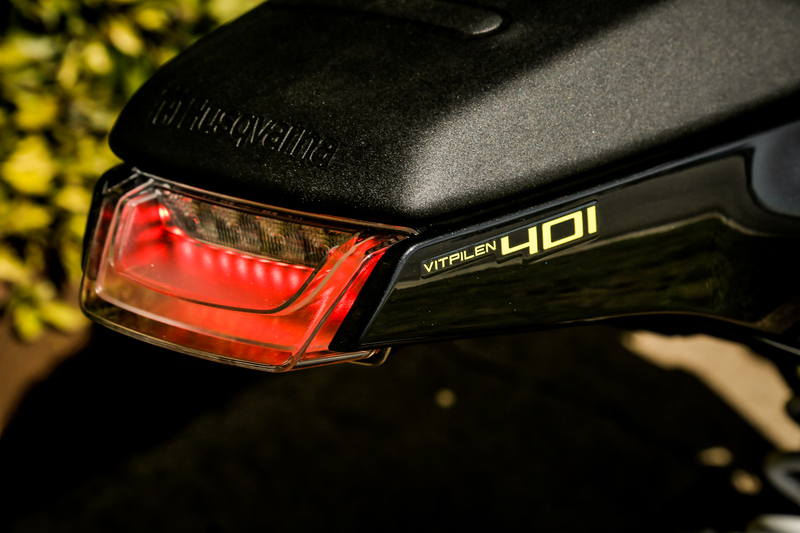 "The 401 Vitpilen is incredibly fun while still being approachable. It has all the power you need, and none of the hairiness you'll endure if you huff and puff too hard on the controls. I think I've found my new king of beginner bikes, and best of all, it's a beginner bike that doesn't make an experienced rider feel like he or she is starting over." I found myself cracking through the six-speed gearbox and never missed a shift. Clutch pull was effortless and smooth and throttling was acceptable. Occasionally I noticed the fueling to come on a bit abruptly from full close. The 27.3 foot-pounds of torque does get the little 401's moving along and make for a couple fun wheelies in first gear. What can I say, this little 401 Vitpilen has some pep in its step. With a 2.5-gallon tank and efficient fueling, I would not be surprised if each bike gets well north of 100 miles to a tank. I will have to set that up for a later test. If I had to choose between the two, my body and brain would opt for the Svartpilen due to its more comfortable riding position and scrambler esthetic. But for fun-around-town and cafe racer feel, the Vitpilen speaks directly to my heart. 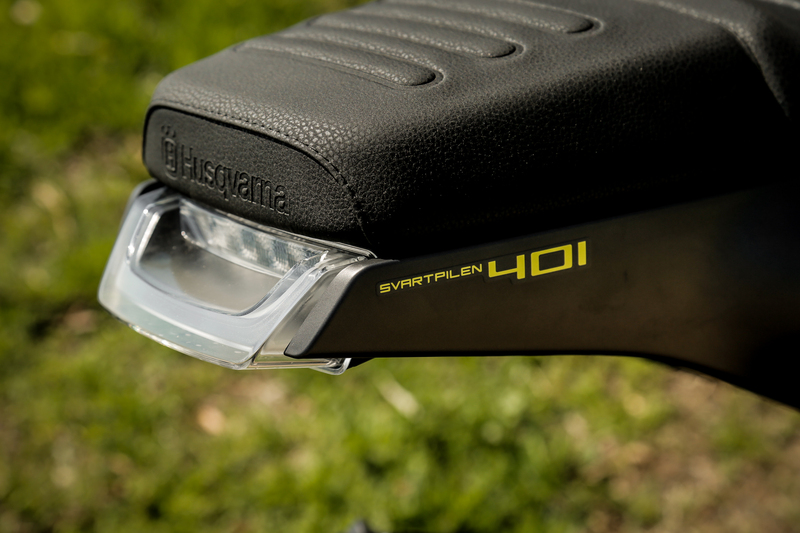 The 401 Svartpilen is definitely going to be the more comfortable bike for riders north of 6-feet. What else can I say for a first ride? I only had each bike for a couple of hours and both were a lot of fun. For entry-level riders who want the coolest looking motorcycle on the market and are willing to pay a premium, look no further. Husqvarna has just dropped the mic. The new 401 Vitpilen and Svartpilen will be available in the next few months for $6,299.